Make a stylish and functional addition to your girl's wardrobe with this alluring set. 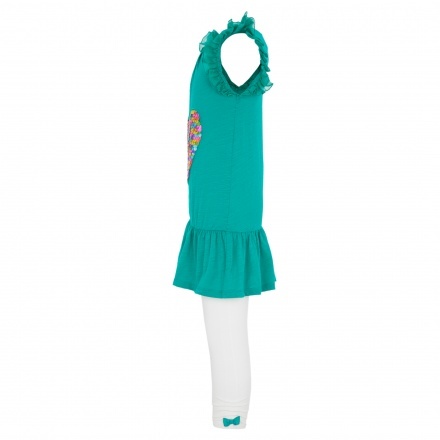 It comes with a solid-shaded tunic and contrast pair of leggings. 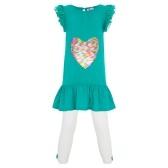 The top is embellished with sequins heart, ruffled sleeves and hem. With a charming bow accent, the leggings complete the look.